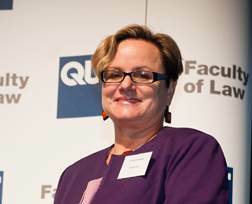 Professor Kerry Carrington from QUT’s School of Justice was recently featured in an ABC news story about the extensive overcrowding evident in Queensland prisons. Recent figures from the State’s Corrective Services department demonstrate there has been a 20 percent rise in inmates over the past two years, with the current prison population sitting at over 7,200 people. Professor Carrington comments on how prison overcrowding in Queensland has been the result of the changes in law and order policies that occurred under the former Newman government, along with significantly high numbers of prisoners currently on remand.